Bari Steen – Meinsen and Greg Sirico at the Warwick Board of Education Meeting on Monday, April 18. Bari is the daughter of Coach Steen and was a graduated of WVHS Class of 1994. On Monday, April 18, the Warwick Valley Central School District gratefully accepted a donation of a portable sound system for the baseball field in the name of the late coach Harry “Butch” Steen. 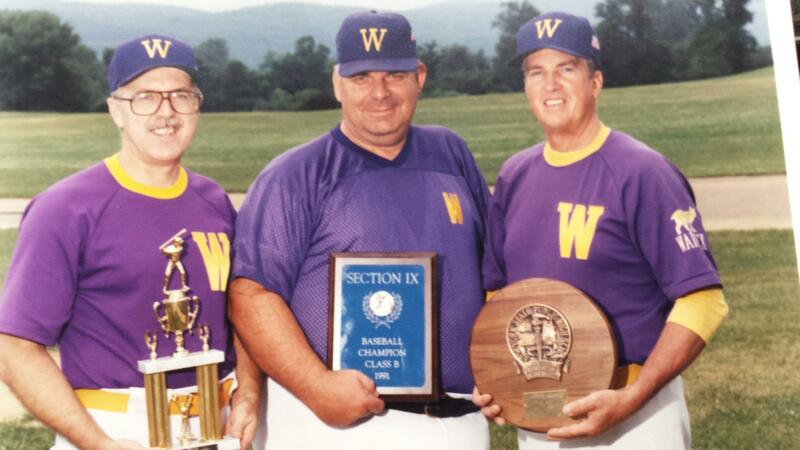 Coach Steen was a baseball assistant at Warwick Valley from 1984 to 1998 and was an integral part of Rob Lattimers’s baseball staff along with John DeVries. 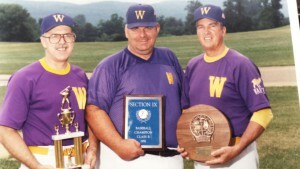 Coach Steen proudly wore number 53 for years at Warwick and during his tenure the Wildcats made a run at the Class B State Baseball Title. Coach Steen was remembered as a man who gave freely of his time and encouraged young people to be all they could be in sport and in life. 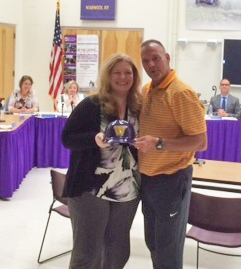 His daughter Bari Steen – Meinsen attended the Warwick Board of Education Meeting on April 18 along with her family and was instrumental in the donation on behalf of her father, Coach Butch Steen.